Understanding how infections in early childhood promote the development of chronic diseases such as asthma, emphysema and diabetes. Understanding how the lung develops and identifying novel ways of promoting healthy lung development by targeting the immune system. Studying immune responses to bacterial and viral infections both in early-life and adulthood to identify new therapeutic strategies for common infections. Exploring how bacterial and viral infections exacerbate underlying chronic diseases, leading to more severe forms of disease that are resistant to current therapies. Understanding why individuals with chronic diseases such as asthma are more susceptible to influenza virus infections. Since school I have had a passion for science and understanding how the body works. Becoming a father of three cemented the importance and need for understanding how to better treat infections in children and to give our children the best chance of a healthy and productive life. Therefore, I have dedicated my career to understanding how the immune system in early-life deals with the vast challenges it faces daily and to develop novel strategies to allow our children to grow up well. The ultimate goal of my research is to identify novel and viable strategies to target deleterious early-life events such as infections and to prevent the development of multiple chronic diseases. This includes better treatments for bacterial and viral infections, especially in early life and strategies to identify and prevent the development of associated chronic diseases such as asthma, emphysema and diabetes. 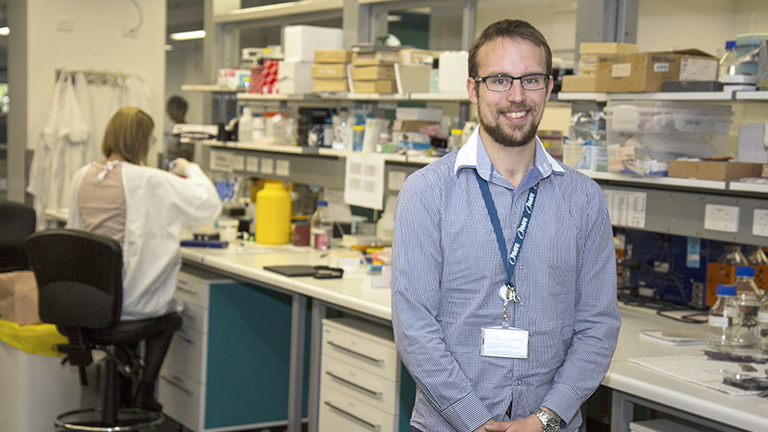 Dr Starkey is an immunologist and microbiologist interested in how challenges in early-life impair the development of a healthy immune system and how this predisposes to chronic diseases such as asthma, emphysema and diabetes. His work is substantially contributing to understanding the immune mechanisms driving chronic diseases. Indeed his work has made important contributions and led to the identification of novel therapeutic strategies that are under further investigation. Dr Starkey uses laboratory models that recapitulate the hallmark features of human disease, including infections, asthma and diabetes. He employs these models to understand how the immune system works, and to develop new treatment strategies for chronic diseases. His work has substantially furthered the understanding of the deleterious effects of infection in early life and how these infections have long-term consequences for the respiratory and immune systems. More recently Dr Starkey has modeled infection-induced severe asthma and emphysema and is identifying strategies for treating these severe forms of disease. He has received over 20 awards/fellowships, including the prestigious NHMRC Early Career Post-doctoral Fellowship (Doherty), HMRI Early Career Research PULSE education prize, multiple communication and poster awards, the Faculty of Health Honours Research Medal, international laboratory exchange awards, The Peter Phelan Pediatric fellowship and The Janet Elder International Travel awards from Thoracic Society of Australia and New Zealand and numerous scholarships and travel grants. Dr Starkey was also awarded the internationally competitive Klosterfrau research grant honouring an outstanding young scientist in the field of pediatric pulmonology. Dr Starkey received competitive research funding from Rebecca L Cooper Medical Research Foundation in 2014 and was awarded the Leo Dintenfass memorial award for excellence in research from this foundation. He has presented his work at numerous international and national conferences and institutions including Harvard Medical School, Brigham and Women’s Hospital Boston, The National Heart and Lung Institute Imperial College, Institute of Infection and Immunity Cardiff University and University of London. He has been an invited chair and on the organising committee of national conferences and is an ongoing member of regional and international respiratory and immunology societies. He is a supervisor of numerous PhD and honours students while serving as a casual lecturer, lead lab demonstrator and tutor for B Biomedical Science students at University of Newcastle since 2008. The focus of my research now and into the future is in developing novel strategies for preventing the development of chronic diseases. We want children to be healthy and grow up well. Our aim is to improve the quality of life of sick children and reduce the burden of subsequent chronic diseases for the generations to come. Kidney stones affect approximately 9% of the population, with rates increasing globally. Whilst the surgical techniques used to remove obstructive stones have improved, few if any advances have been made to prevent stone recurrence. Stones are a significant risk factor for the development of chronic kidney disease, which currently affects 2 million Australians. Acute kidney injury is increasing in incidence globally and there is a strong association between acute kidney injury and the development of chronic kidney disease. Early-life lung infections, caused by respiratory bacteria and viruses, lead to permanent alterations in lung structure and function that predispose children to the development of chronic lung diseases such as asthma and emphysema in later-life.